On Administrative Professionals Day 2019, Express Employment Professionals is releasing a closer look at the modern administrative professional. In a tight labor market where job openings outnumber unemployed people, workers have more opportunities to change jobs, leading to increased turnover. Job openings in America hit a new record high in this month's Bureau of Labor Statistics report, and a new survey from Express Employment Professionals shows that they should remain high through the second quarter, with hiring particularly strong in the industrial sector. In yet another sign that a 2019 recession is unlikely, the vast majority of businesses in a recent Express Employment Professionals survey reported that they have no plans to cut their workforces. Express Employment Professionals explores the state of employment – and unemployment – in the United States today through a series of reports called America Employed. Each edition of America Employed focuses on a different aspect of who gets hired in America and why. 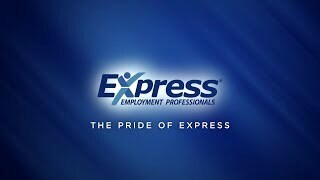 For over 25 years, the vision of Express Employment Professionals has been to help people find jobs and help businesses find the people and human resource services they need. 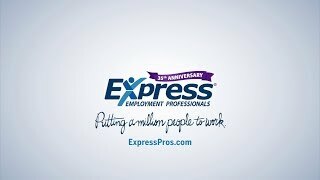 Over the past few years, Express Employment Professionals has put over a million people to work. And we're on a mission to help a million more. A Safety Net or a Trap? Changing Dynamics: Is ACA a Game Change for How Companies Operate? The Great Shift: Where Have All the Workers Gone? 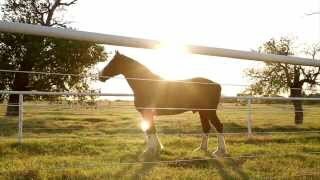 our news releases, sign up now. With the unemployment rate at 5.1% and second-quarter GDP growth at an annual rate of 3.9%, some economists can claim that the economy is chugging alone fine. The man who matches companies with workers talks about the skills gap, the harm of Obamacare, and the incentive not to work. But he'll still find you a job. The sunny jobs reports don’t count people who have given up looking for work. No wonder the national mood is sour.